Spending Nights in an Entirely Different Sphere. Literally. 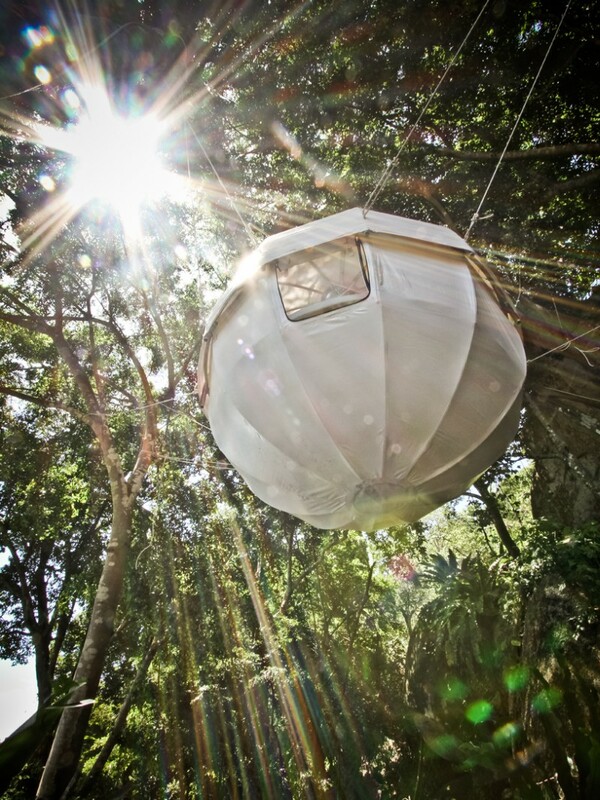 Skywalker to distribute innovative tree house tent and glamping concept. Over the past decade, tree houses have seen a big leap in their popularity, not only with nature enthusiasts and aficionados of nature-centred alternative lifestyles. 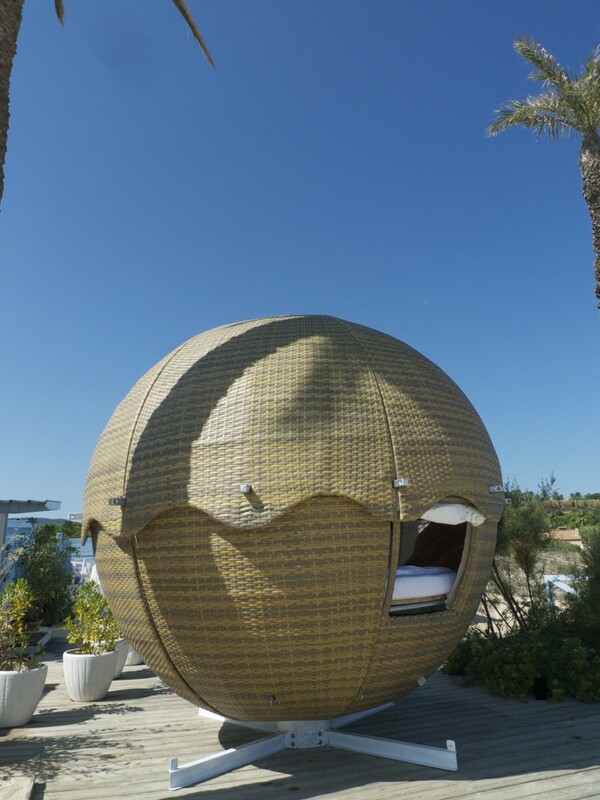 Architects and designers have also discovered the concept, as illustrated by the Mirror Cube, a treetop “bedsit” designed in Sweden , making its market debut in Spring 2012. 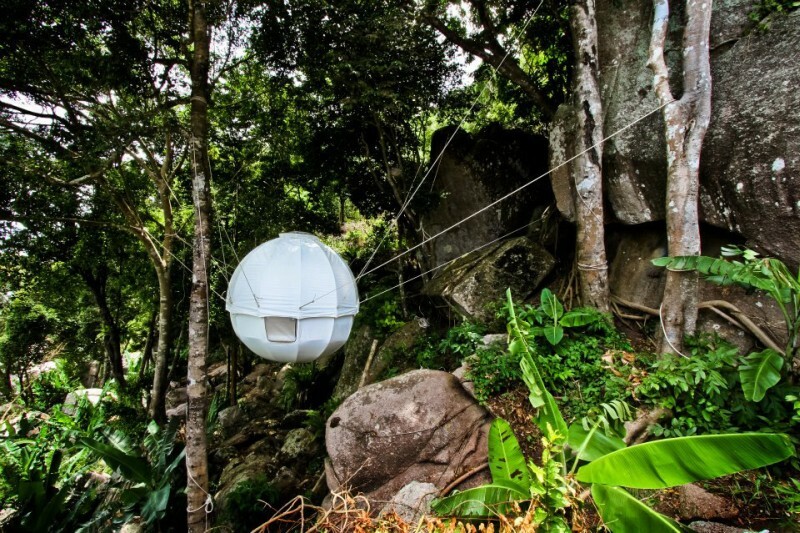 The Cocoon company has now come up with their own innovative design that enables people spending the night among tree tops. 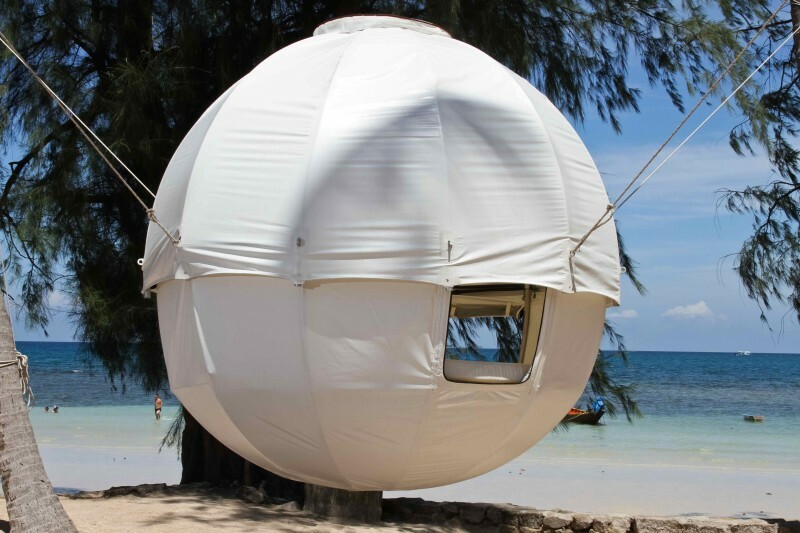 Cocoon Tree offers a luxurious option that takes glamping to a whole new level. 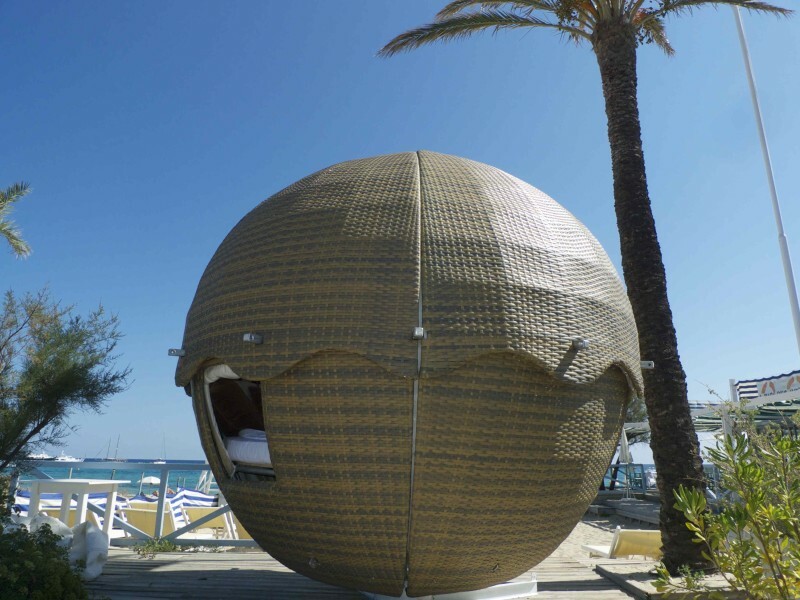 It constitutes a cocoon-shaped lightweight construction, providing the same experience as its Swedish counterpart whilst being much easier to install and, thus, offering a much wider range of applications. 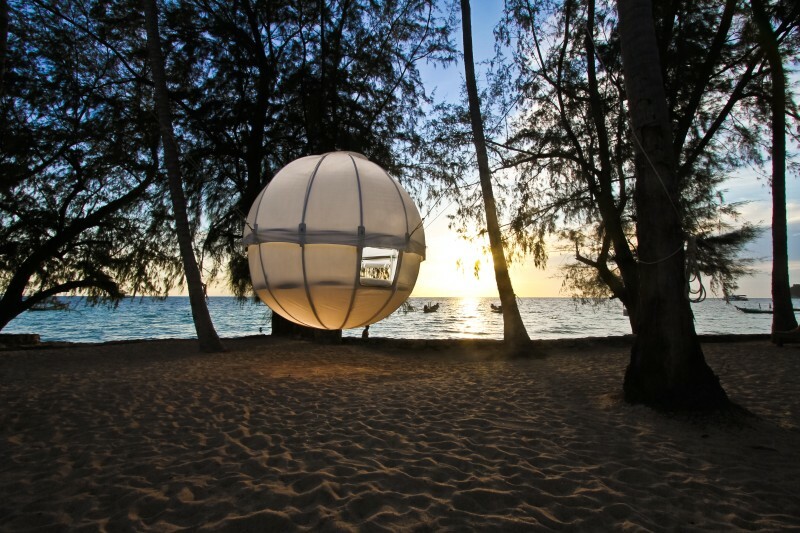 “The designers really managed to pull it off, successfully combining tree house and tent elements,” explains Ewout van Voorst, Managing Director of Skywalker Adventure Builders, the Dutch specialist company for the design and construction of outdoor climbing parks and ropes courses who secured a distribution agreement with Cocoon Tree, the manufacturer of the “Tree Pod”, the name under which it is marketed. 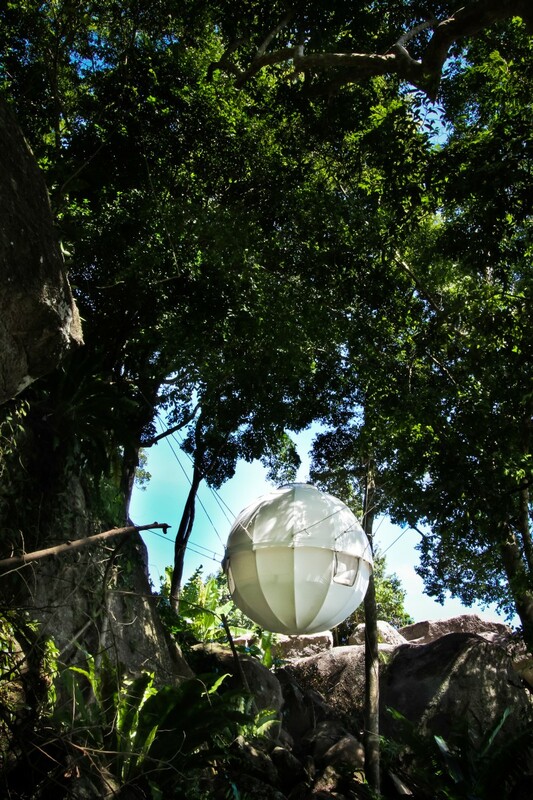 “Basically a luxury tent that can be suspended at any height above ground,” adds van Voorst. Moreover, for anyone who is interested in the pod, there’s a lot to choose from. 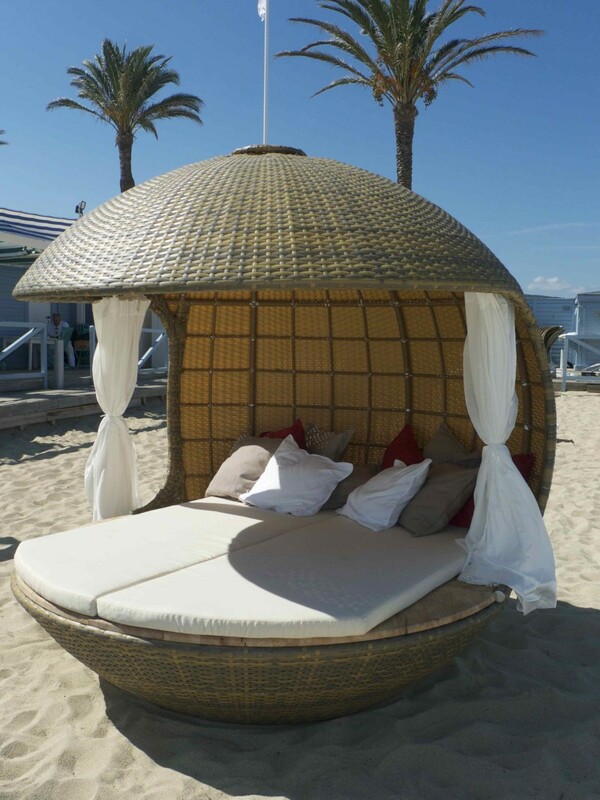 “Cocoon offers different versions,” says van Voorst. 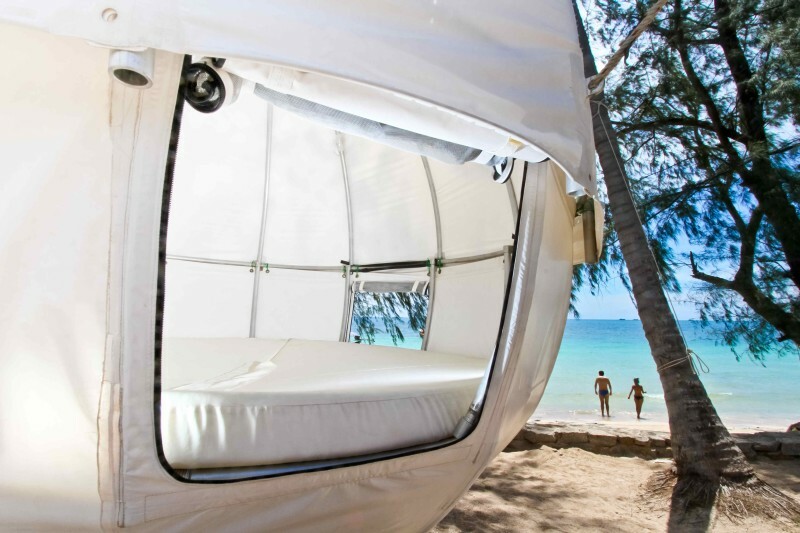 “For example, the Tree Pod Deluxe features a heavier flysheet, while the Jungle model might be described as a hard-top amongst them, with a semi-rigid shell made from synthetic fabric, boosting the weight to 28 st.” And for everyone with a romantic streak, Cocoon Tree delivers a open-side Beach pod – resembling a canopy bed. “Goes without saying that curtains are included,” laughs van Voorst.